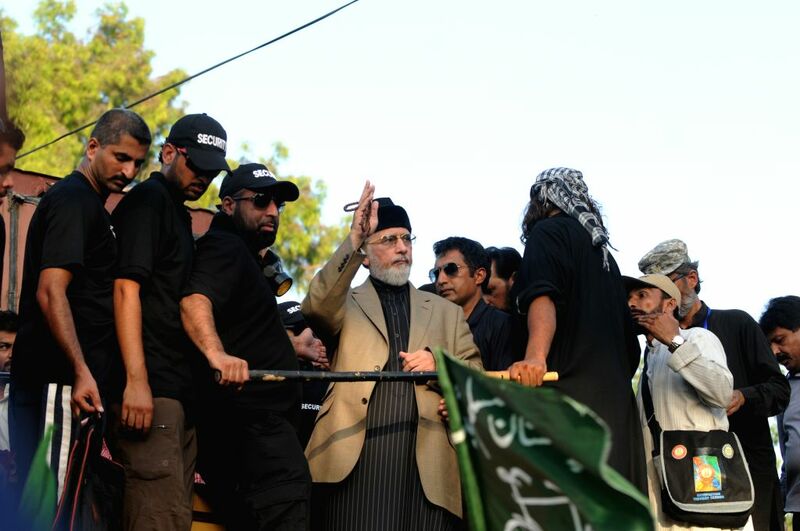 ISLAMABAD, Aug. 19, 2014 - Religious anti-government leader Tahir-ul-Qadri (C) gestures during a protest in Islamabad, capital of Pakistan on Aug. 19, 2014. Pakistan's interior minister said that army troops are being deployed in capital Islamabad to stop protestors from moving towards sensitive areas. 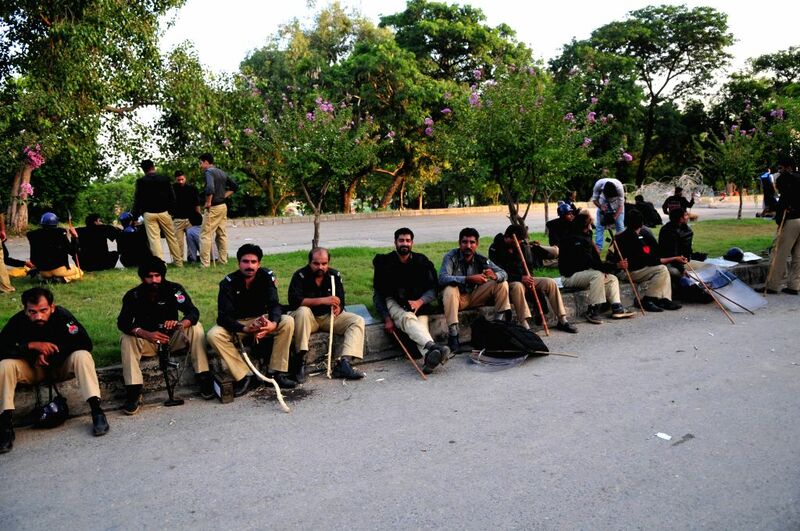 Riot police rest on road during a protest march in Islamabad, capital of Pakistan on Aug. 19, 2014. Pakistan's interior minister says that army troops are being deployed in capital Islamabad to stop protesters from moving towards sensitive areas. Supporters of religious anti-government leader Tahir-ul-Qadri shout slogans during a protest in Islamabad, capital of Pakistan on Aug. 20, 2014. 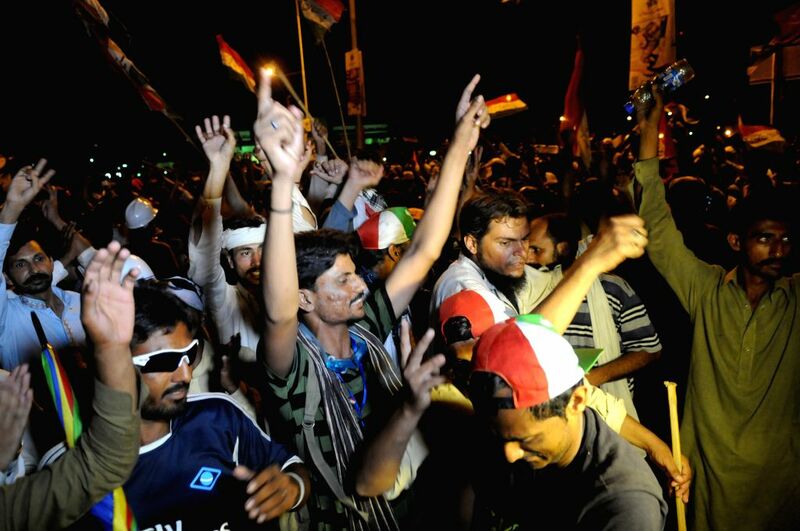 Tens of thousands of protesters marched on Pakistan's parliament in a bid to depose the prime minister. 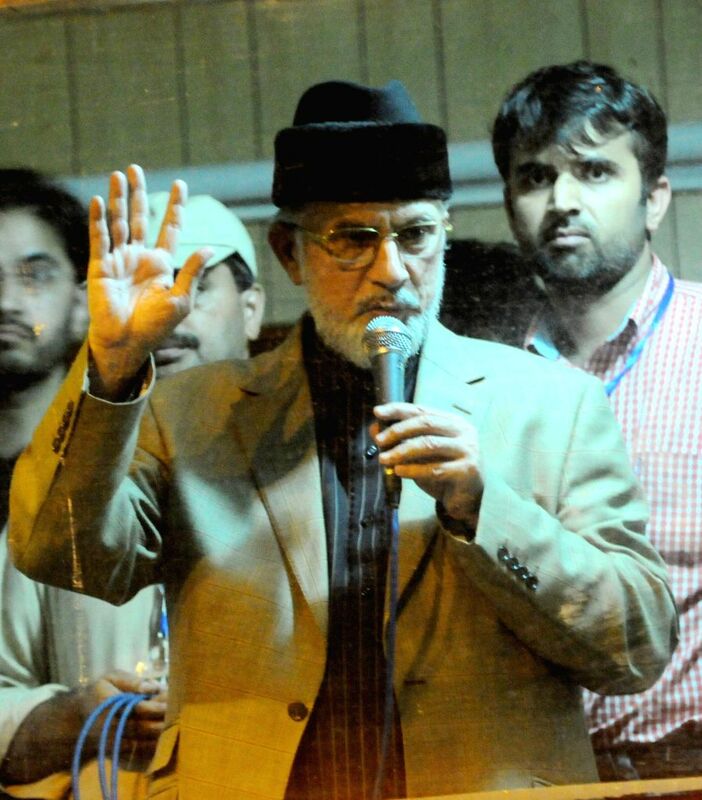 Religious anti-government leader Tahir-ul-Qadri (front) addresses supporters inside a shipping container in front of the parliament building during a protest in Islamabad, capital of Pakistan on Aug. 20, 2014.